It's kind of hard to think that Alita: Battle Angel isn't going to be huge. I mean, besides the fact it's been in the works for a long time and the guy who made Titanic and Avatar (as well as Terminator and T2) is behind it-there is something rather innovative about it all and whether the quality is ultimately better or worse the closest thing I can equate it to in my lifetime is the buzz prior to the release of 300 in 2007. I can remember being in one of my college film classes and the professor along with many of the students talking about how excited and curious they were about that new Zack Snyder film. The visual medium of film was given something of a shot in the arm by 300 and its new take on how far those visuals could be pushed in the age of green screen and visual effects. If he was to be outdone in buzz, James Cameron certainly wasn't going to be outdone in box office and thus 2009 came along and Avatar was released upping the ante of what was possible with visual effects even if the film didn't make as lasting an impression on pop culture. It seems prior to beginning work in the world of Pandora though, Cameron was close to directing this adaptation of the graphic novel series "Battle Angel Alita" by Yukito Kishiro that revolves around an amnesiac female cyborg who is rescued from a scrapyard by a doctor, rebuilt, and then set on a path of hunting down vicious criminals in the 26th century. Cameron is still involved as a producer and co-writer on the project while Robert Rodriguez (Sin City, Desperado) has taken over the director's chair. Rodriguez falls into that school of directors who are always looking to push boundaries and if this new trailer is any indication it looks as if the director may very well have his first hit in ten plus years on his hands not to mention a new franchise. This thing looks spectacular as the blend of real photography and motion capture effects is flawless, the action is staged in a very visceral fashion, and the story, while coming with shades of Ghost in the Shell and no doubt other material I'm not aware of, piques my interest due to the seeming connection the titular character has with this item from the past and the fact it may indicate what the future holds; stuff like that always gets me. Not to mention, this thing has a hell of a cast with Rosa Salazar taking on the role of Alita and co-starring the likes of Eiza González, Jennifer Connelly, Michelle Rodriguez, Christoph Waltz, Jackie Earle Haley, Mahershala Ali, Ed Skrein, and Casper Van Dien. 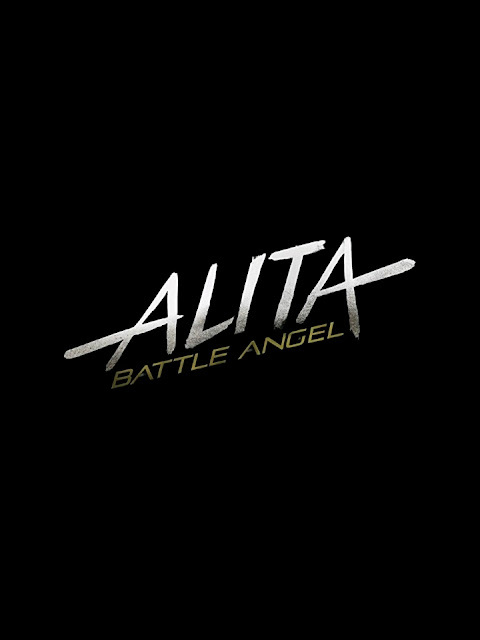 Alita: Battle Angel opens December 21st, 2018.